Fragments of other rocks that are transported by water (streams, ocean currents, etc. 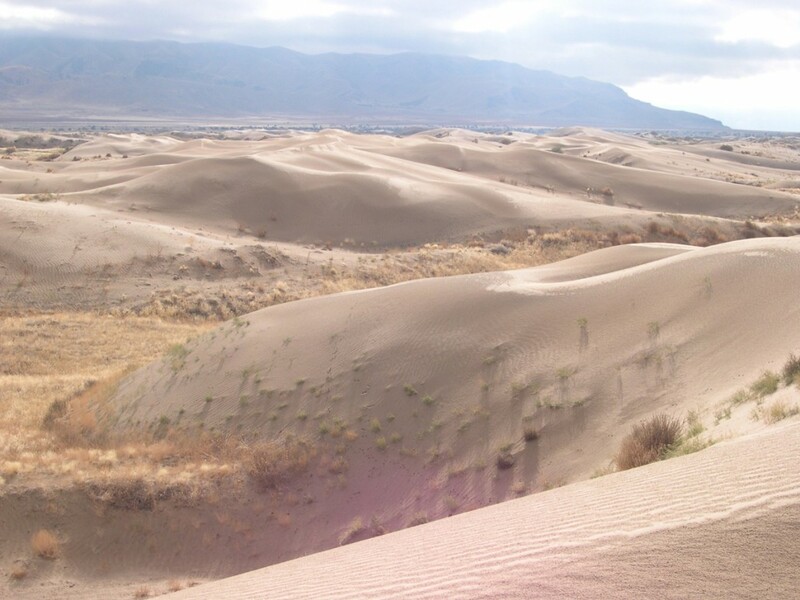 ), wind, or glaciers, and deposited in another environment, such as sand on a beach that solidified into sandstone or mud on the ocean floor that formed shale. Organic materials, such as plants in a swamp, which can form coal. Minerals that precipitate out of water, such as salt from sal-ine lakes like Great Salt Lake, forming rock salt, or calcium carbonate from marine animal shells, forming limestone. Sedimentary rocks have many characteristics that provide important information about past climates, past life forms, and the ancient geography. The grain size, shape, and sorting within the rocks that are composed of rock fragments indicate the energy of the water, wind, or glaciers transporting the sediments, as well as the length of time or distance the sediment was carried. High-energy environments such as (a) large, fast rivers or (b) steep mountain streams form rocks with the largest grain sizes (sometimes as large as boulders) that are also mixed in with varied smaller sizes. When these mixtures are deposited and cemented after relatively short transport, the grains retain angular shapes and are called breccia. Longer transport across greater distances allows abrasion to smooth the grains into rounder shapes, and the resultant rock is called conglomerate. As the energy within the system decreases, the grain sizes being transported also decrease, as is the case with some rivers or deltas carrying coarse to fine grains of sand, which are cemented together to become sandstone. 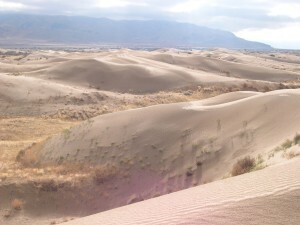 The very lowest energy environments, such as lagoons and deep, standing water bodies, can only carry the smallest particles such as mud and clay, which can become mudstone and/or shale. Mudcracks form when wet clay is temporarily exposed to the air and dries. Ripple marks indicate which direction the water currents were moving and are typical of rivers, beach deposits, and tidal action. Fossils, tracks, and burrow marks indicate specific life forms and climate conditions, as well as pinpoint the age of the rock. 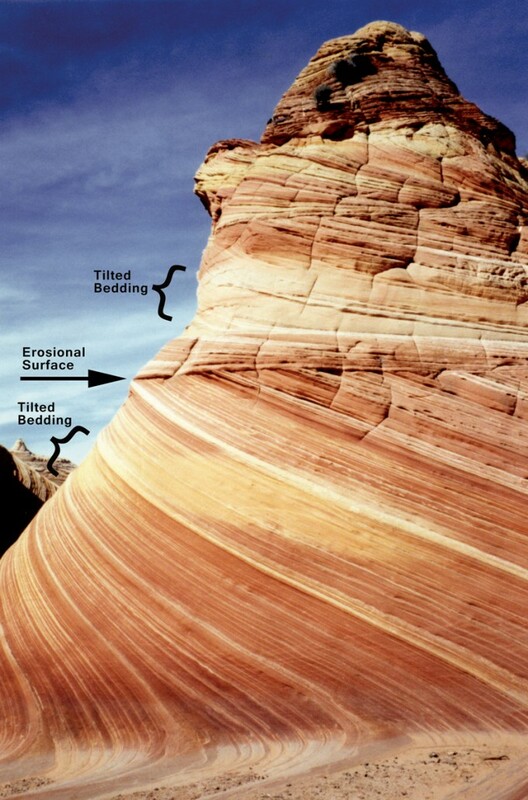 Sediment is often deposited in layers, and each layer (bed) can reveal details such as slight changes in water conditions or even seasonal changes. 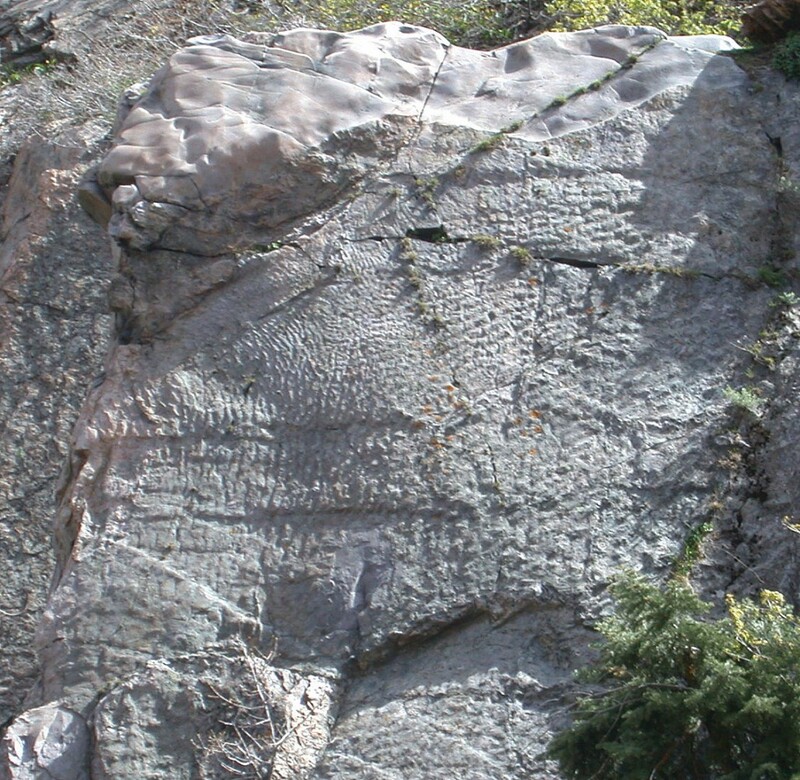 One variation, cross-bedding, contains multiple sets of layers with different orientations; like ripple marks, these indicate current directions. The canyon walls along the first six miles up the road from the mouth of Big Cottonwood Canyon are composed of tilted layers of reddish-brown quartzite and black to purple to green shale. 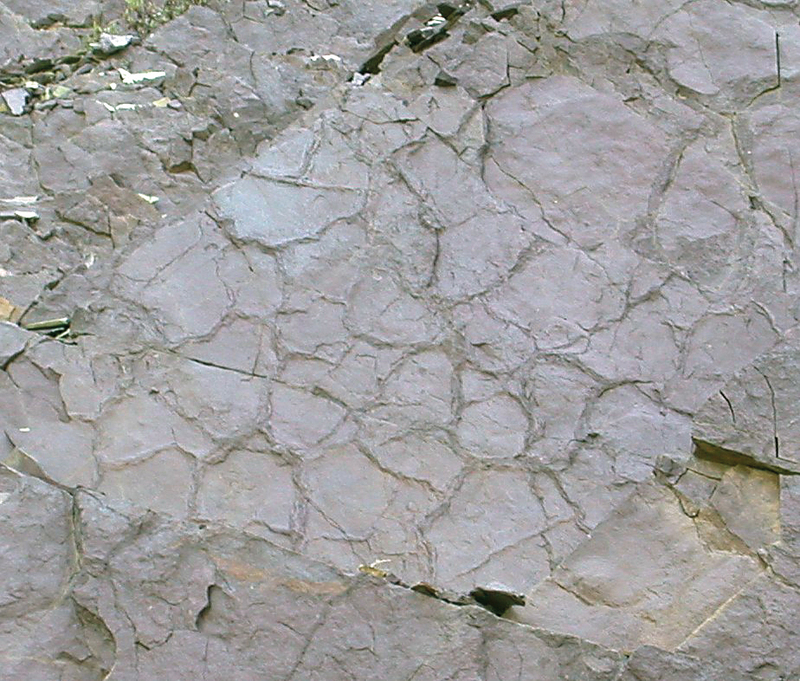 These rocks are remnants of a tidal-flat environment and formed from deposition of alternating layers of sand (now quartzite) and clay (now shale). The same depositional environments that existed in ancient times also exist today (just in different places). By using the geologists’ motto, “the present is the key to the past,” geologists can determine what the area might have looked like at various times in the past. Survey Notes, v. 46 no. 1, January 2014.